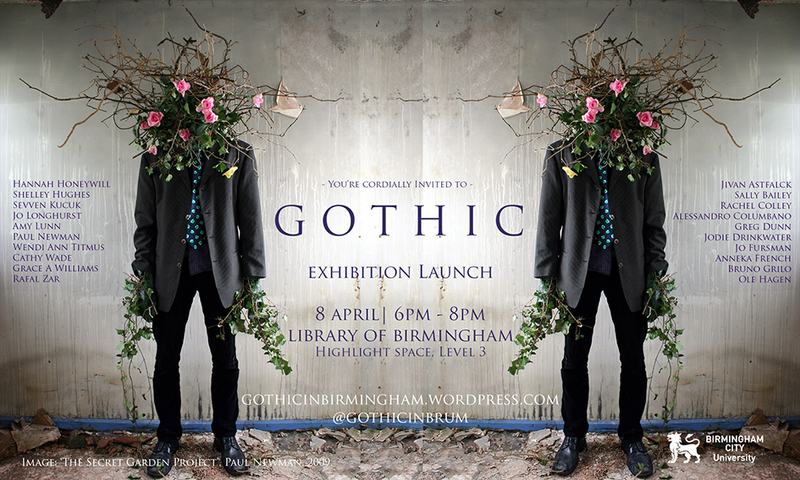 Please join us for the exhibition launch event, kick starting a three week takeover of the Library of Birmingham, culminating in a day of Gothic related talks on May 2, 2015 from across BCU’s Art, Design, Media and English faculties. The event promises to be a fascinating and contemporary look at all things macabre and is a great opportunity to meet some of the artists and speakers. Jivan Astfalck, Sally Bailey, Rachel Colley, Alessandro Columbano, Gregory Dunn, Jodie Drinkwater, Joanna Fursman, Anneka French, Bruno Grilo, Ole Hagen, Hannah Honeywill, Shelley Hughes, Sevven Kucuk, Jo Longhurst, Amy Lunn, Paul Newman, Wendi Ann Titmus, Cathy Wade, Grace A Williams and Rafal Zar.